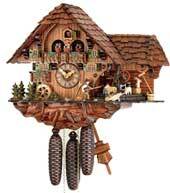 Gorgeous L-shaped cuckoo clocks depicting a bavarian farm. 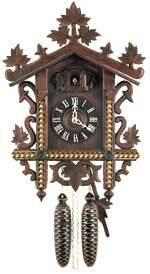 This is a big clock and measures 15 1/2 x 17 3/4 inch . 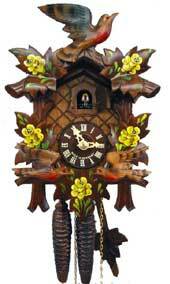 10 inch 1 day carved cuckoo clock with beautiful handpainted yellow roses and moving birds. 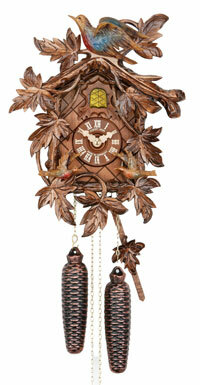 Clock also features handcarved wooden hands, wooden dial and wooden cuckoo bird. 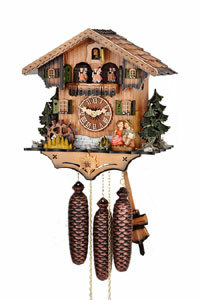 10 1/4 inch 1 day cuckoo clock with moving birds. 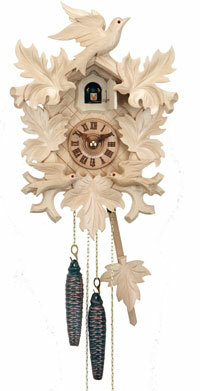 Clock also features handcarved wooden hands, wooden dial and wooden cuckoo bird. 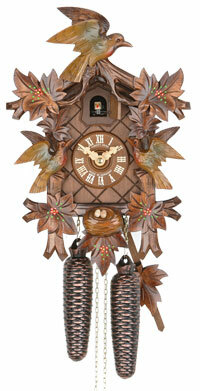 This traditional style 1 day carved cuckoo clock is made by Hubert Herr out of linden wood and stained in walnut color. 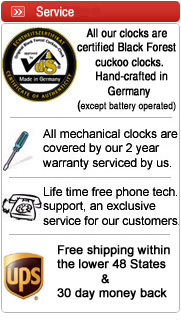 Very nice new chalet by Herr. 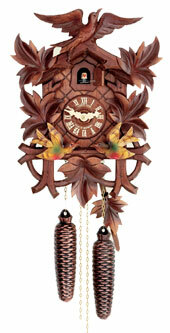 Clock features a carved and handpainted hummel like moving kissing couple, turning waterwheel and dancers. 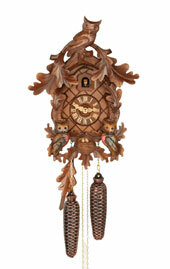 13 inch cuckoo clock with animal carvings by Hubert Herr.Clock features night shut off to silence clock. 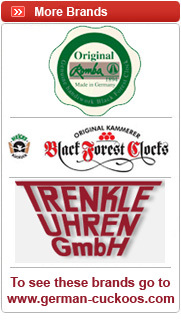 New Model by Hubert Herr. 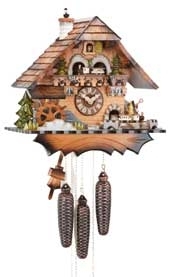 Geourgeous 14 inch 8 day cuckoo clock with moving features. 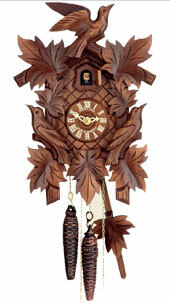 Very detailed handcarved leaves and bird.